A new crossover! A new semi truck! A plant in China! Layoffs! The new roadster, maybe! Tesla has a lot going on right now, but Q4 of 2018 was a nice financial win for the growing automaker. And on the earnings call just now, CEO Elon Musk just kind of casually mentioned we may see a Tesla pickup truck this summer too. The announcement came quickly and with few details, but Musk said the company “might be ready” to unveil a Tesla pickup “this summer.” That truck will be something “special” and “not like anything else,” Musk said on the call. That’s it! That’s all we have on this, for now. 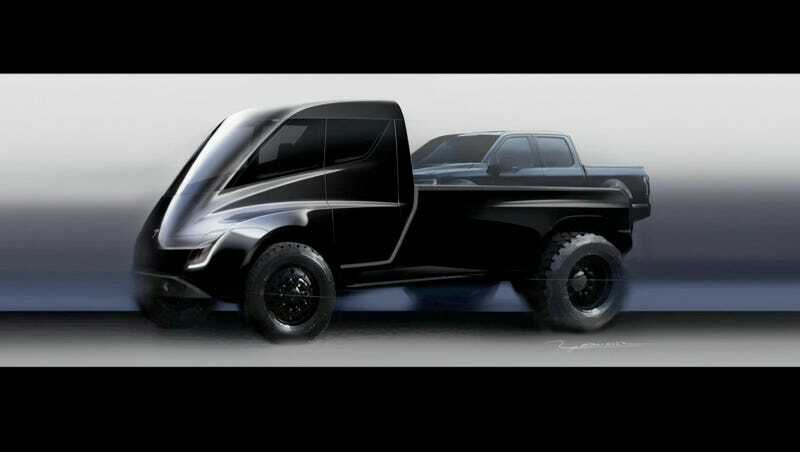 Musk indicated a truck was potentially in the works way back in fall of 2017, unveiling the somewhat outrageous concept art you see above. “It’s a pickup truck that can carry a pickup truck,” he said at the time, and it’s become clear this is a different product than the semi. I of course don’t know if we will see a Tesla Truck this summer, or anytime this year. It’s not even clear what will underpin this truck, whether it’ll be similar to a Model X or Model Y or something new and different entirely. 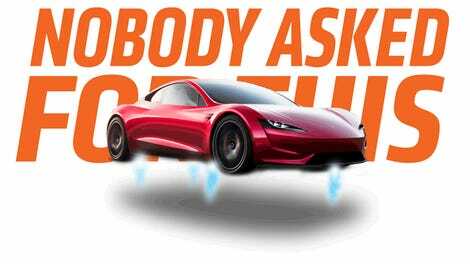 Musk has a habit of unveiling moonshot ideas and being slow to deliver on them, with the new Tesla Roadster being one prime example. He’s even tweeted that one could have some form of rocket propulsion as well. Sure, why not. Either way the truck market is probably the next great frontier for electric vehicles. Ford is coming out with an EV F-Series truck in a few years, and startups like Rivian are hoping to get there even sooner. With tons of electric torque to make towing and hauling a breeze, it feels like an idea whose time will come soon. But can Tesla make it happen with all the other stuff happening at the same time?